For the last years, Acer’s Nitro line of value gaming laptops stood proof that you did not have to pay a lot of money in order to get a pretty good gaming experience. 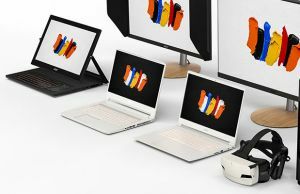 It’s true they somewhat sacrificed on design, speakers and screen quality, as shown in our reviews, but did not skimp on hardware specs, performance or cooling, and compensated for their quirks with some of the most affordable pricing in their segments. 2019 brings two new members to the Nitro line, the updated Nitro 5 AN515-54, and a brand new Nitro 7 AN715-51 series, both with up to date hardware specs (up to 9th gen Intel Core processors and the latest Nvidia RTX/GTX graphics), 144 Hz screens, improved audio, and a revamped design, with cleaner looks and a smaller footprint. 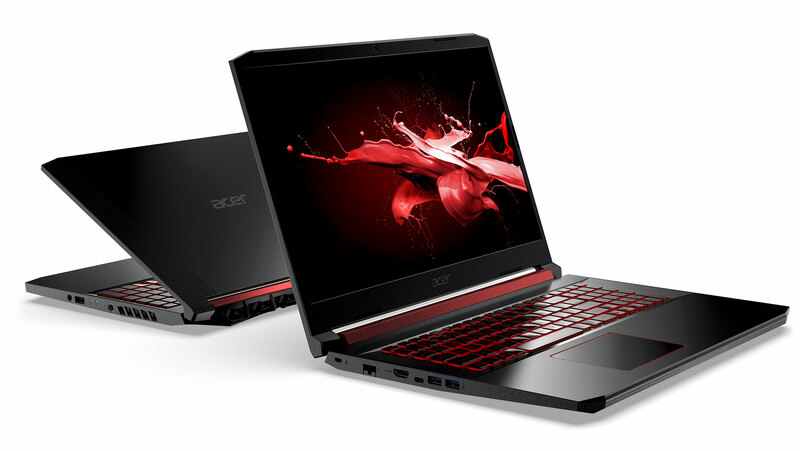 The Acer Nitro 5 line remains the value option, starting at $799 in the US and 999 EUR in Europe, while the Acer Nitro 7 ups the game in terms of design and aesthetics, with a thinner and sturdier metallic construction, but demands a $200/200 EUR premium, at least at launch. 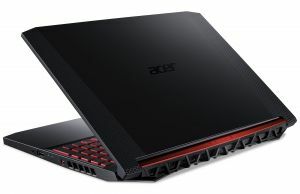 We’ll cover the two lines in future detailed reviews; for now, we’ll tell you what to expect from the 2019 Acer Nitro 5 AN515-54 and Nitro 7 AN725-51, where they are placed within Acer’s lineup of gaming laptops, how they fare against the competition, as well as mention some of their potential issues, based on our experience with the Nitros of the past. Take these with a grain of salt as we’re developing the article. The two Nitro lines share most design lines and hardware specs. They look almost the same, with small bezels around the screen and thus a more compact form factor than the previous Nitro models. 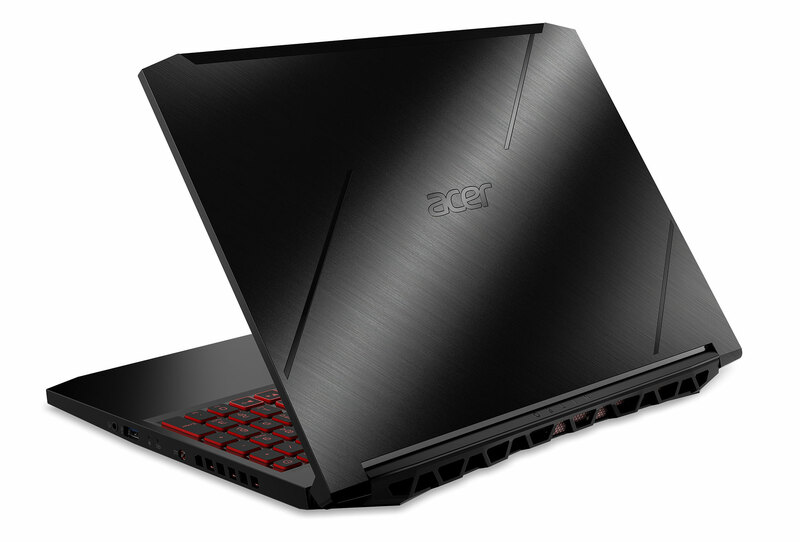 The Nitro 5 AN515-54 still uses black plastic for the outer shell, as well as a red strip of plastic between the hinges, while the Nitro 7 gets a brushed-metal lid cover and a matte metallic finishing on the interior and underbelly, as well as for that piece between the hinges. Both have a fair share of red accents in the keyboard and trackpad, though, so are not as subtle looking as some of the other options out there. The Nitro 7 does not only feel more premium with its metallic surface, is also sturdier made as well. Acer went for some hefty aluminum panels here and as a result, this computer barely bulges when pressed on the keyboard’s deck or the lid-cover. This is an important aspect, as it’s the main aspect the sets the Nitro 5 and 7 apart, and on a first look, you might be inclined to say the 7 might not be worth that $200 premium for just a metal case. In reality, though, this might be well worth the extra, as the build quality is on par with much more expensive products. The Nitro 5 on the other hand, well, it’s nice, but still a plastic device. Having a quick look at the pictures below reveal a couple of other interesting aspects. First of all, there’s no longer an SD card reader on any of these lines, there’s also no Thunderbolt 3 support and the power input has been moved in the middle of the right side, which means the power cable might get in the way with daily use. Second, expect a sharp front-lip on these, which your wrists is not going to like. There’s still no RGB backlighting on the Nitros, but the keyboard is actually slightly redesigned from the previous generation, with full-size arrow keys and firmer feedback, based on my first encounter with the device. On top of these, you’ll notice that the dual-fan cooling now employs an extra intake grill on the right edge, aside from the intakes on the bottom and the exhausts on the back, which suggests a slightly redesigned and hopefully improved cooling on these updated Nitro lines. That’s great news, as the cooling needs to keep in check the 9th gen CPUs and updated Nvidia graphics. Speaking of that, you’ll find both 8th and 9th gen Core H processors inside the Nitro 5/7 lines, with the Core i5-9300H and the Core i7-9750H as the new options, both part of the Coffee Lake-Refresh family of Intel CPUs. These are for the most part higher-clocked implementations of the i5-8300H and i7-8750H Coffee Lake CPUs we’ve seen in performance laptops in the last year. We’ll talk about them in a future update, but don’t expect more than marginal gains in demanding loads, and none with regular use. 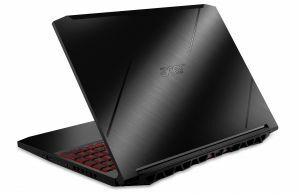 On the other hand, as far as the gaming abilities go, these 2019 Nitro 5/7 laptops will greatly outperform the previous GTX 1050/1050 Ti models, as they are based on Nvidia’s Turing GTX 1650 chips. We can’t talk about performance for now, but we’ll update with our findings in future articles, once we get to test several of these Turing GTX notebooks. The specs sheet is filled up with support for up to 32 GB of RAM, triple storage options, fast wired/wireless Internet connectivity and a fair-sized 58 Wh battery, as well as advertised improved speakers. The Nitro 5 is scheduled for North America from April 2019, with a starting price of $799, while in Europe it will be available in May, starting at 999 EUR. The Nitro 7 is expected a bit later, from May 2019 in the US (starting at $999) and June 2019 on Europe (starting at 1199 EUR). 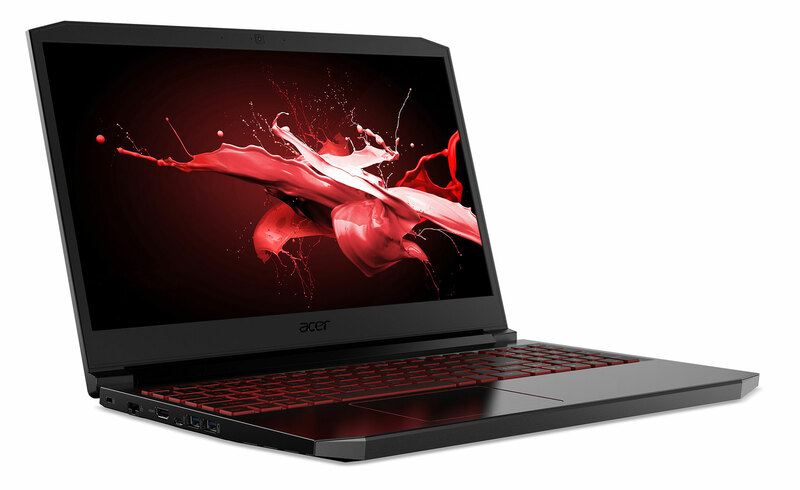 The Nitros are Acer’s entry-point among gaming laptops, that’s why the Nitro 5 is the new 2019-level base model, while the Nitro 7 comes as a slight step-up in terms of construction and design, but for the most part, with similar specs, traits, and performance. 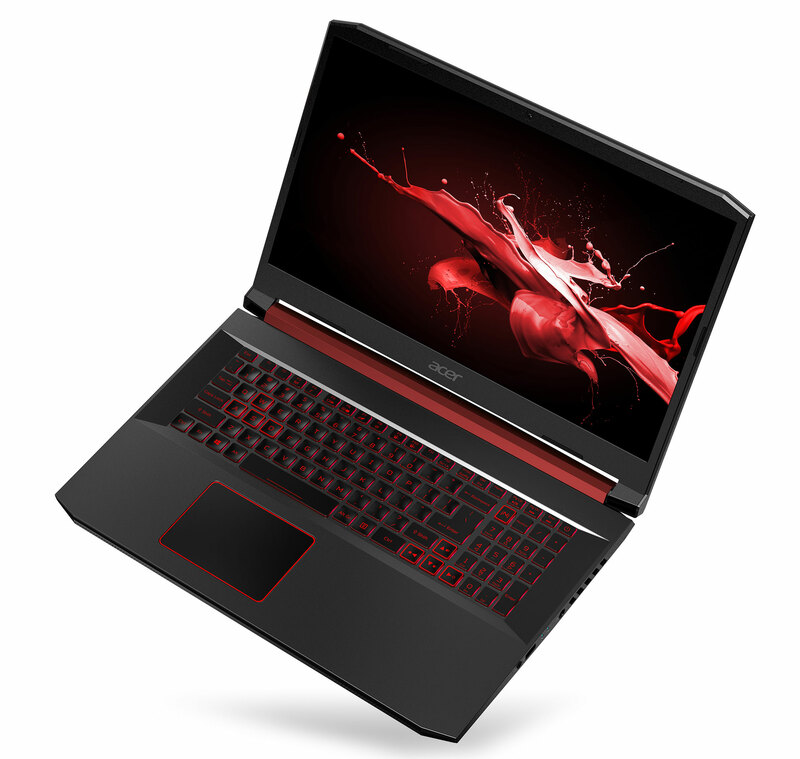 If you’re looking for a more powerful Acer gaming-notebook, you’ll have to step up to the updated Predator Helios 300, the bread-and-butter mid-range option with 9th gen CPUs and Nvidia GTX 1660 Ti/RTX 2060 graphics, while at the higher level, you’ll find the Predator Helios 500, Predator Helios 700 and the Predator Triton lines. 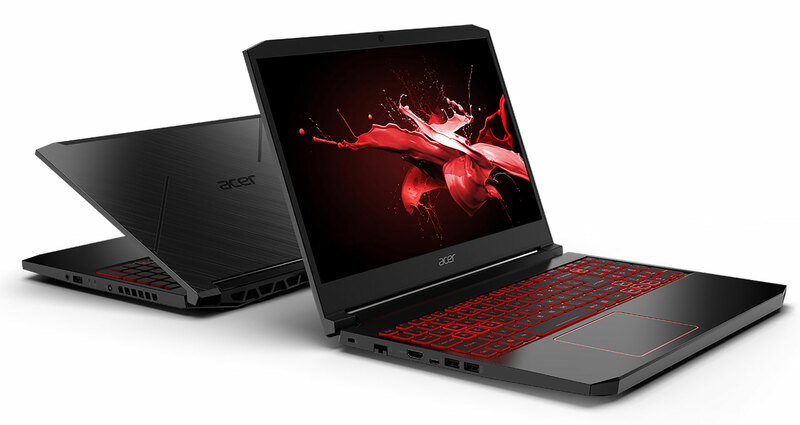 Acer’s Nitro 5 line competes at the lower end of the gaming niche with devices like the Asus TUF Gaming FX505, Dell Gaming G3, HP Pavillion Gaming 15 or the Lenovo Legion Y540, each with their pros and quirks. The Nitro 7, on the other hand, falls somewhere between classes, as more expensive than other similarly specced options, but at the same time better built and nicer looking. If you’re into performance for your buck, I’d expect you to get better value with one of the options above, but if you need a solid all-around computer that can take a beating, the Nitro 7 might be worth the difference, especially as the gap between the Nitro 5 and 7 lines will surely drop over time, with future discounts. 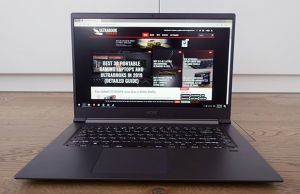 With updated hardware, new screen options, a smaller chassis and supposedly improved audio, the 2019 Acer Nitro 5/7 lines address most of my complaints about the previous Nitro 5s, at least on paper. Of course, we’ll have to wait for our review units to see how the new hardware actually performs and whether the cooling can keep it in check, as well as whether the audio rises to the hype. 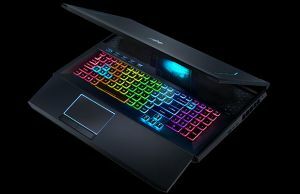 My potential concerns still go towards noisy fans and high-case temperatures in long gaming sessions, as well as on audio and the overall panel quality, aspects manufacturers tend to skimp over on budget laptops. 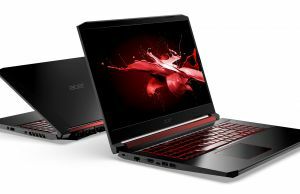 For the most part, though, the new Acer Nitro 5/7 lines seem to have what they need to be some of the most popular gaming notebooks of 2019, and although they have big shoes to fill up, there’s a good chance they’ll outmatch their predecessors. Stay tuned for our detailed reviews in the weeks to come.